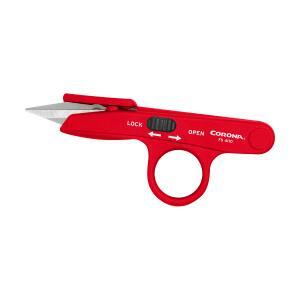 This compact micro snip features razor-sharp, stainless steel blades that allow for precise, detailed cuts. A spring in the handle helps to open the 1-1/4” blades after each cut. The large finger loop on the ABS plastic handle provides a comfortable grip, and the push-button thumb lock is easy to operate. The handle and blades can be sterilized to limit cross contamination.